When are e-currencies coming to a store near us? This weekend, I spent around 15 minutes searching for a cash machine in East London because my local barber only accepts cash. A couple of weeks ago, I had to do something similar to get a suit dry cleaned. We tend to think the next wave of currency digitisation will come in a New York, a London or maybe a Singapore, but there’s a lot to be said for the steps being taken in emerging economies. Perhaps the most famous example is Kenya’s M-Pesa. Now ten years old and estimated by MIT in 2016 to have lifted 2% of Kenyan households out of extreme poverty, this early adoption of mobile payments is now used across swathes of Africa, India and even South-East Europe. Returning to 2018, and back in September, it was Mongolia leading the charge in establishing a digital currency endorsed by its central bank, aimed at increasing financial inclusion and making interbank transactions easier, and issued, interestingly, not by the central bank itself but by the financial arm of the country’s largest mobile telecoms operator. The issuance of ‘emcash’, then, in line with the UAE’s wider Blockchain drive, is the latest in a series of highly innovative, digital-cash initiatives in parts of the world we may not so readily associate with the height of Fintech innovation. And we should not be so surprised by this. 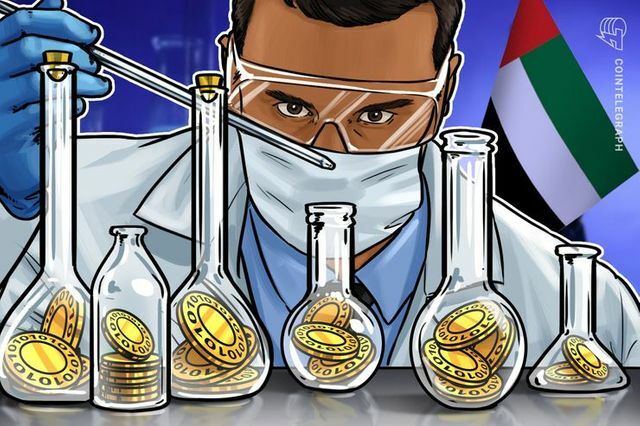 Taking the latest example, in 2017 it was reckoned that around 75% of transactions in the UAE are made in cash, against around 42% in the UK, with around 65bn Dirham circulating outside the system. With the lack of visibility cash transactions bring from a central-bank perspective, not to mention the cost of maintaining ATMs and staffing branches in rural areas, it’s hardly surprising that these economies are more incentivised to ‘go cashless’ than their Western counterparts. That said, we can’t and don’t operate in an economic vacuum. A world where I can travel across most of Africa and the Middle East making payments at a market stall from my mobile phone or smart watch without doing more than downloading a new app on the airport Wi-Fi when I land, but when I get home have to spend 15 minutes searching for an ATM when I want a haircut (and the knock-on effect this has on small businesses) is perhaps one Western European economies want to avoid. So…if these ideas are starting to become reality, when do the e-currencies make their way to Western Europe? When do we get ours? !